Everything went completely smoothly, both hotels were wonderful and the staff were amazing. The Paradise Sun was just as exquisitely perfect as it was five years ago, and the Avani, as you assured me, has now returned to its previous glory (five years ago it had gone a bit downmarket, but that has now been reversed) We had a piece of heaven for our two weeks and I think I can speak for us both when I say we won’t be waiting five years before we return! At any rate whenever we do, we shall be sure to come straight back to you because of your excellent service. We are back from our Seychelles trip. It was a smooth trip with no problems. I want to commend Creole Travel. They really did an excellent job. They were always on time and made all the connections work so we could just enjoy the trip. The decision to use Cat Cocos for the trip to Praslin and back was great and much less hassle than flying. It is hard to imagine why anyone would choose to fly when the boat is so fast and comfortable. The hotels were all in beautiful locations on the beach. The Kempinski management was impeccable. Everything was done for the guests to make their stay pleasant. The food was very good and well presented. We appreciate your help in putting the trip arrangements together. We were very impressed by Creole - they were super organised, got us on an earlier inter-island flight which was appreciated. Drivers really good - everything on time!. The main reason we booked with Just Seychelles was because of their local knowledge of Seychelles. Martin - very helpful & easy to talk to. Thank you for all your help! We had a great holiday. I would like to say that we had a wonderful holiday and would like to thank Martin & Wendy for their help in putting this holiday together. The hotels and islands were amazing. This was a really important holiday celebrating our 45th wedding anniversary and was planned well in advance to all respects, it lived up to expectations so thanks to the team at Just Seychelles. Probably a 'once in a lifetime' location, but if we do decide to return we will certainly book with you. Many thanks. Quick response from 1st email, helpful staff & plenty of options. Overall, superb holiday, quality accommodation, no major problems at all. Will be in touch to re-book another trip to Bird. The reason we booked with Just Seychelles was the good response to initial enquiry & courteous service. All the arrangements worked out well and local representation could not have been more helpful, even changing flights for us to save wasting time. Very polite, well dressed local representatives & clean, safe cars. Only criticism would be too many buffet meals as we prefer a la carte. Thank you Just Seychelles! We booked with Just Seychelles because it was good value. Great personal service from the staff during the pre-opening period (H Resort Beau Vallon Beach). Some truly talented and committed staff. Food at the Eden restaurant was very good and they tweaked their menus and created new dishes just for us. Nice relaxed atmosphere, not too formal - just right for us. The main reason we booked with JS was the price + location availability + specialist knowledge + helpfulness on telephone. Excellent holiday - great telephone service. Thanks! Raffles Hotel was fantastic, as were the staff at Creole. I had contacted a few companies about a holiday in the Seychelles & found Martin to be the most helpful in making suggestions & ideas, and that was the reason I booked with Just Destinations. The reason we booked with Just Seychelles was the availability of accommodation required. Ease of booking - seamless! I just wanted to pass on my appreciation for a wonderful stay (L'Archipel Hotel). Everyone was so welcoming and accommodating; from the reception staff to the restaurant staff, the security people and the room service. The beach at L'Archipel completely fantastic. Flight times really good. All staff, reps & JD staff very welcoming & helpful. We have returned to the UK with some lovely memories and will thoroughly recommend the hotel to our friends (although in some ways we would rather keep it a secret). Lovely, lovely holiday, thanks. We wanted to go to Seychelles and valued your specialised knowledge. Denis Island - fantastic! only slight criticism was that we would have preferred to eat a little earlier. But otherwise - truly lovely. Thank you for a lovely holiday! When we chose the Seychelles as our honeymoon destination, Just Destinations were specialists and fantastic at putting our package together, and really gave a fantastic price too. Thank you for giving us the best honeymoon x. Our main reason for choosing Just Seychelles was initially because it offered the best costing, but I would recommend your company as you worked hard to ensure everything was booked and ran well. Our holiday was lovely and we liked the Seychelles. Our main reason for booking with Just Seychelles was the clear & concise information on website. Excellent customer care when speaking to representative and ease of contact via phone. Superb holiday that was very well organised. Excellent sourcing of destinations & MAIA was a world apart - a true dream destination. Enchanted Island was fantastic with the only slight downside being that no package included any alcohol as an inclusive package. We specifically wanted to book Seychelles for our honeymoon so we liked the idea of a specialist agent. Overall excellent and local Creole Travel were great. Would recommend. The main reason for booking with Just Destinations was because we wanted to go to the Seychelles and your company specialised in holidays to Seychelles. We picked up a brochure at a 'Holiday' show and were impressed with the choices on offer. Value for money & ease of booking was great. You are a known Seychelles specialist and through your company we were able to combine a sailing holiday with time ashore in a hotel...The charter was excellent and our holiday exceeded our expectations. Hi Martin, Bob and I have just returned from our holiday in the Seychelles and I had to let you know how pleased we were with it. Emirates Airline is excellent. Their chauffeur turned up well in time and all the staff and arrangements and service could not be faulted - they were wonderful. We will certainly always use these in future if possible. I also want to praise the staff at Creole. They were very cheerful and helpful and were always there to help whenever we got off an aircraft or were picked up at the hotels - I cannot praise them and their service enough and I did tell them at the time. The hotels were very good too and we especially liked L'Archipel on Praslin. So thank you very much for all your advice before hand and I am sure we will be looking at Mauritius soon. We have always had good service. Perfect. We cannot speak too highly enough about the excellent service you provide. We always deal with Martin and he goes above and beyond the normal service you would expect from a travel agent. We had a connection problem with Etihad at Abu Dhabi on our last trip (no fault of yours) but Martin resolved what was a very difficult problem with his usual politeness, calm & efficiency. We have always had excellent service from Martin. We were looking to get married in Seychelles and a google search brought us to Just Destinations. A special thanks for getting it all sorted. Wendy helped with the selection of the location & Martin made sure all our questions got answered & all the boxes were ticked. You made our trip & wedding day hassle free - almost stress less. It's my first day back at work after our holiday and I thought I would let you know how it went - it was excellent. You did a great job of explaining everything to us in advance and the holiday matched our expectations. The hotel is excellent (Constance Ephelia). They looked after us very well and attended to every need. You were right about the food - it is excellent. The transfers with Creole were fine - and the cold bottles of water they offered on arrival were very welcome. ...Once again - my thanks to you for all your help and advice. Don't hesitate to recommend the villas at Ephelia to anyone else wanting a great family holiday in Seychelles. We booked with Just Seychelles because of their knowledge of Seychelles when we made our initial enquiry, and helpful friendly nature of staff. The main reason for booking with Just Seychelles was firstly the price, but when we saw more of Just Destinations we felt you had personally researched the area and your local knowledge with the personal touch was great. Martin was great to deal with. ...Altogether it was the best holiday ever. Great job, Thank you loads!!! We are returning customers and the main reason we book with you is your good service and the options available. Denis Island; food was exceptionally good. Staff very friendly and helpful. Island is lovely, snorkelling & diving great. Constance Ephelia; exceptional service. Great villa - we should have stayed there longer!! Martin was great with his knowledge of the Seychelles and a great help with us booking the various hotels. Very good service and would travel again with your company. Could not have had a better service. A1 throughout. Wonderful service, everything flowed like a dream. Well done your company. Personal service. Spoke to hotel and arranged brilliant room etc for our anniversary. First Rate Service. We've been with Elite 5 times before & Just Destinations is their new name. Creole agents good. Martin (Just Destinations) very helpful. We went to Anse Soleil for the snorkelling which was excellent but the hotel is average and very remote (we like to use the buses). 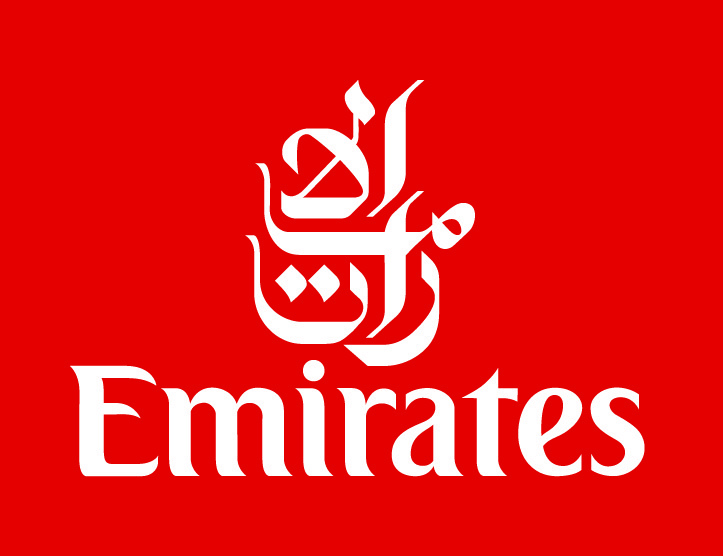 Emirates Airlines are great. Desroches is an excellent place. We have booked a few times with you and always received a good service from you. Hope to contact you again next year! Indian Ocean Lodge - all really excellent and good location. 2 mile walk along the beach if wanted and short boat ride to Cousin Island Nature Reserve arranged by hotel was excellent.